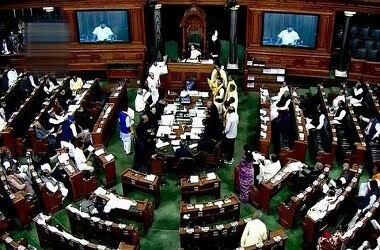 Lok Sabha has unanimously passed the Scheduled Castes and Scheduled Tribes (Prevention of Atrocities) Amendment Bill, 2018 to reverse the effects of the Supreme Court order concerning certain safeguards against arrests under SC/ST law. The Bill seeks to amend the Scheduled Castes and the Scheduled Tribes (Prevention of Atrocities) Act, 1989. Scheduled Castes and Scheduled Tribes (Prevention of Atrocities) Act, 1989 protects marginalised communities against discrimination and atrocities. It prohibits commission of offences against members of SCs/STs and establishes special courts for trial of such offences and rehabilitation of victims. In 2018, Supreme Court had expressed concern over misuse of Act and ruled against automatic arrest of booking of accused under this law. It had also introduced the provision of anticipatory bail. It had stated that for persons accused of committing offence under the Act, approval of Senior Superintendent of Police (SSP) will be required before an arrest is made. Further, Deputy Superintendent of Police (DySP) may conduct preliminary enquiry to find out whether there is prima facie case under Act. The Bill states that investigating officer will not require approval of any authority for arrest of accused. Further, it provides that preliminary enquiry will not be required for registration of First Information Report (FIR) against person accused under Act. The Act states that persons accused of committing offence under Act cannot apply for anticipatory bail. It also clarifies that this provision will apply despite any judgments or orders of any court that provide otherwise, thus overturning SC judgment given in April 2018. It is popularly known as Prevention of Atrocities (PoA) Act or simply Atrocities Act. Its prime objective is to deliver justice to marginalised through proactive efforts, giving them life of dignity, self-esteem and life without fear, violence or suppression from dominant castes. The Act lists 22 offences relating to various patterns or behaviours inflicting criminal offences and breaking self-respect and esteem of SC/ST community. This includes denial of economic, democratic and social rights, discrimination, exploitation and abuse of legal process. The Act also provides protection to SC/ST community from social disabilities such as denial of access to certain places and to use customary passage, personal atrocities like forceful drinking or eating of inedible food, injury, sexual exploitation etc, atrocities affecting properties, malicious prosecution, political disabilities and economic exploitation. The Section 14 of the Act For speedy trial provides for Court of Session to be Special Court to try offences under this Act in each district. Q. In order to reverse the effects of the Supreme Court order concerning certain safeguards against arrests under the SC/ST law, which Bill has been unanimously passed in the Lok Sabha?